Uniformitarianism, the gradualist doctrine in geology, finds its origin in the slogan Natura Non Facit Saltus, (Nature does not jump) launched around 1700 by Gottfried Wilhelm Leibniz who was a mathematical genius – and a lousy philosopher. The Lutheran Leibniz believed that the Great God of the Universe had created planet Earth, with its fauna and flora, not just for our benefit but more specifically for our comfort. Leibniz’ slogan took hold, and developed into the bourgeois doctrine par excellence, a custom-made Biedermeier faith. And as it combines well with materialism and reductionism, most of the intellectual left adopted it without a hitch. It was to have disastrous consequences for philosophy and for the pursuit of knowledge. During more than a century, 1860-1980, academic geologists of diverse political colouring gave the best of their energies to practicing Biedermeier geology. Particularly omissive during that long century were the philosophers of science, who are supposed to critically analyze the scientists’ procedures, and to distinguish between premises and empirical data. 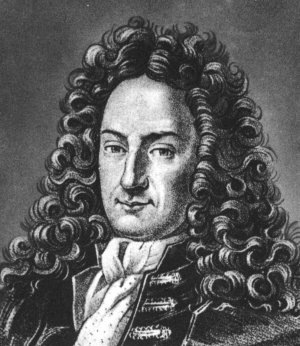 Out of three common ways of dying inherent in the biosphere of the Earth – from old age because of the sexual reproduction system, as prey because of the organization of the biosphere along food-chains, and through episodic worldwide catastrophes – , Leibniz managed to eliminate the third way from Western thinking. Linnaeus and Darwin quoted his slogan verbatim, and James Hutton and Charles Lyell were imbued with the spirit of it. The latter two weren’t brilliant innovators of geological thinking, as academic hagiography would have it, but well-conditioned followers of Leibniz. James Hutton’s 1795 adage on the immensity of time, with “no vestige of a beginning, no prospect of an end”, quoted ad nauseam in the handbooks of geology, was formulated similarly 150 years earlier by Isaac de La Peyrère (‘Praeadamitae’), a Calvinist nobleman who probably developed his ideas from the Jewish tradition of repeated destructions and new creations – a tradition which can be followed backwards in time to the medieval Rabbis Isaac of Akko and Rashi of Troyes, and to Rabbi Abahu of Caesarea, of Talmudic times. Hutton, of the Scottish Enlightenment, knew his Voltaire, and Voltaire was the first to mention La Peyrère favourably. I am not accusing Hutton of plagiarism. In a period when educated Europeans knew Latin and French and were well-read, authors were not required to refer to their sources with any rigor. La Peyrère’s and Hutton’s pronunciations on the eternity of the world equally hark back to the Pythagorean Ocellus Lucanus, who used similar wording, `αναρχος και `ατελευτητος (anarchos and ` ateleytitos) – without a beginning or an end. The centuries-old opposition of Catholic and Protestant fundamentalists against the geological timescale is based upon their literal interpretation of the Hebrew Bible, whereas the Jewish tradition, with a much broader base, has no problem with that time-scale. And neither have the Hindu, Maya or Maori traditions, and so on. For the connection of a billion-year timescale with uniformitarianism there is no basis in intellectual history. The short “biblical” (read Christian) timescale began to be abandoned in Europe during the 18th century, by uniformitarians and catastrophists alike. And then, statements about the eternity of the world cannot be verified, so they belong to the realm of metaphysics rather than to that of science. They are at variance with the Big Bang hypothesis of cosmic origin, and with the very old but finite age of the Earth, as inferred from radioactive decay extrapolations and measurements. 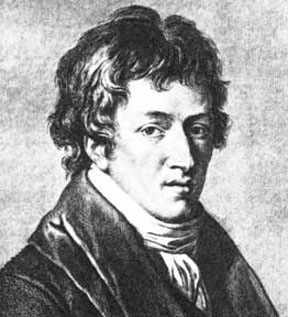 Since the end of Romanticism the doctrine (in geology) of repeated destructions followed by new creations is being attributed to George Cuvier, over and over again. But Cuvier has never said anything of the kind. 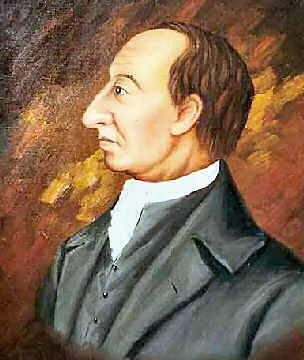 That doctrine is from his contemporaries Jean Deluc and Alcide d’Orbigny. Geology teachers and handbook writers stress the importance of going back to the primary sources when others do bibliographic research, but clearly deem themselves exempt from that golden rule. They parrot and copy and summarise from secondary sources. Please note that our view of Earth history begins to resemble that of Deluc and D’Orbigny, with the difference that we don’t think of complete destructions followed by new creations, but of partial destructions followed by rapid evolution and diversification of the surviving species. This process, in the period between extinction event and diversification, is characterized first by paucity of species and of individuals, followed by paucity of species with an abundance of individuals – a population explosion. Like the post P-T Lystrosaurus explosion. Like the post K-T Protoungulatum explosion. Like the post-Pleistocene human explosion. The 2005 Richard Firestone/Allen West breakthrough in impact geology is more far-ranging in its consequences than the 1980 K-T breakthrough, because the damage done to the biosphere in the Late Pleistocene also affected humanity. It brings together the North American school of catastrophism (repeated blows during Earth history) and the British school of Victor Clube and William Napier (repeated blows during human prehistory and history), researchers who situate themselves within the Halley-Whiston tradition that began, like uniformitarianism, around 1700. What was lacking in the Clube-Napier school, based on extrapolation of space-age data, is now provided by the Firestone-West findings, to wit, geological field- and laboratory data. Today’s breakthrough will also begin making a rapprochement in a schism that exists since the end of Romanticism, about 1860 – the greatest Kultursturz in the West since Christianity brutally suppressed intellectual and religious freedom in the Roman and Hellenistic worlds. This schism pitted against each other, sometimes violently, academic geology (and biology, archaeology, history, mythology) and the so-called lunatic fringe, marginalised by the uniformitarian establishment – Atlantologists, pole-shifters, Velikovskians, Theosophists, etc. Perhaps the 2005 discoveries will induce the “lunatic fringe” to start thinking more critically. And perhaps they will induce the academic geologists to start thinking. If so, we can look forward to the next breakthrough in rather less than another quarter of a century. More often than not, the controversy between catastrophism and uniformitarianism is represented as a conflict within the geological sciences. But considering that in catastrophism a dynamic picture is given of Earth history, and thus of the Earth, whereas uniformitarians try to play down as much as they think feasible the more global, rapid and life-threatening processes in favour of local, slow and innocuous ones (however preposterous the hypotheses they have to invent and defend), we must conclude that we are dealing with a conflict between two antagonistic, incompatible worldviews, vastly transcending the field of one particular discipline. The fight has indeed been raging for thousands of years. Plato was a catastrophist, Aristoteles tried to play down what Plato considered to be historical discontinuities. Two millennia later, Leibniz sounds as Aristoteles redivivus. After a wave of catastrophist theories during Romanticism, the uniformitarians proclaimed their view to be the only scientific one, and triumphantly declared the battle won. When during the 1970s the Chryse Flood was discovered on Mars, an oceanless planet, geology professors didn’t resign en masse and go back to school, but continued pontificating that such a flood was impossible on Earth. 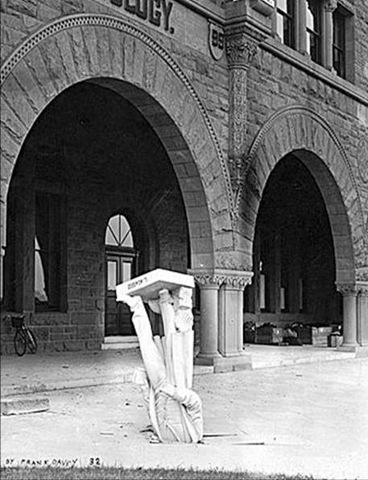 Doubts about uniformitarian dogma arose only in 1980, after the K-T discoveries, which caused however but a minor crack in the wall of Academe. The uniformitarians stood their ground and tried to encapsulate the new findings into their system. They turned up with ‘catastrophist uniformitarianism’ – a contradiction in terms, and worse, a metaphysical confidence trick: the appropriation of empirical findings by a magical formula. More cracks and holes appeared, but now, after 2005, they have to try corking up a really big one. But as before, uniformitarianism will find its staunch defenders – not because they can produce arguments of any validity, but because they are well-conditioned: Natura Non Facit Saltus. The war of the worldviews may go on unabated for a long time to come. This Manifesto is not an attack but a counterblast. We, persons who have understood that we are born on a highly dynamic planet that tumbles and gyrates and spirals through a highly dynamic universe, have been calumniated, cold-shouldered, blacklisted, denied research funding, refused publication space, and chased out of jobs by sectarians who took power at the universities around 1860, sectarians as dogmatic and repressive as their Christian predecessors, and who tried – and continue trying – to describe the world as static as they can. And to enforce consensus, they continue using ad-hominem arguments, their “common sense”, the anonymous peer-review censorship system, and the medieval Occam’s razor, long since rusted and blunt. Ed Grondine several months ago recommended I begin a correspondence with you. I felt a bit under-prepared for that, but every now and then I’ve thought of it, and am deciding to send caution to the wind. This is written before I have finished reading your post above, so if I state something you cover later, I apologize. I am on the fringe of the lunatic fringe and on the fringe of the scientific point of view. But for the scientist’s avoidance of certain subjects (with which they apparently have been fearful of addressing), there wouldn’t be any opportunity or a lunatic fringe to develop. That is, IMHO. I have been thrilled by Firestone’s group working on the YD Impact. It is obvious they have a ways to go to solidify their efforts, but they seem to be on the right track. If progress is ever made in inquiry, first and foremost the right questions must be asked. Finding those “right” questions is not often apparent until one has floundered through some earlier questions and experienced enough – sometimes some startling things – to have reached the true starting point in the inquiry. The lunatic fringe sometimes stumbles upon those questions before the scientists do, even if the fringers don’t have the wherewithal to pursue the issue to conclusion. It might behoove a scientist to keep an ear to the ground regarding the lunatic fringe. Some in the fringe have very good minds, even if they lack credentials. Ed Grondine lacks credentials, and until his stroke had a pretty perceptive mind. Ed seems to think somewhat highly of my own. More so than Ed, I have my hand in several areas of inquiry and only spend a bit of time on impacts, not enough really to keep up with things. I’d have read Firestone’s mass market book earlier, but its name reeked of mumbo jumbo, mostly because of the cover. I almost literally ran away from it. His publisher should be shot for the cover they came up with. When I finally did read it – late last year – I was shocked. Not because of anything to do with the YD impact, but because it was not lunatic fringe. But it is apparent that Firestone was floundering for an explanation, even if he and his group were headed in more or less the right direction. (I myself am floundering also, in trying to pursue it in other areas, with my relatively limited access to information.) Floundering is what inquiry SHOULD do – until it gets to the point of asking the elusive “right” question(s). If it is something new, the right questions should not be obvious. And in new areas of inquiry we should be wary of questions that present themselves to easily, as they lead to simple-minded – if plausible – answers. I think that is part of what led Lyell and Uniformitarians in the wrong directions. What could be more seductive than to believe – as did Leibnitz, evidently – that the present, “modern,” calm is all there ever was? Why look farther than what we experience in our everyday existence? If our entire existence was within four walls would we not formulate philosophies about walled realities? This comment is already long, so I hesitate to discuss particular YD Impact things (about which “I am but an egg”). I will comment again. My name is Steve Garcia. I bend Ed’s ear once in a while. 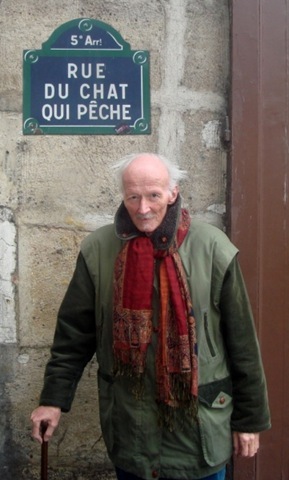 I should point out that I put Han Kloosterman’s ‘Catastrophist’s Manifesto’ into it’s own page on my blog (George Howard also has it posted on his site ‘The Cosmic Tusk’) because I deeply, and warmly, admire the man. I can’t over-state my appreciation for his willingnes to be a mentor to a beginner, and to listen to my crazy ideas from the beginning. And I think his Catastrophist’s Manifesto should be read by all. But the YD impact theory as expressed on this site is my own addition to the tassles on the lunatic fringe. Ed had pointed me to Han, but didn’t tell me how much Han evidently liked about Velikovsky (who I usually refer to as Dr. V). I got my start in this area with “Earth In Upheaval”. That book I thought was aces. “Worlds In Collision” I didn’t agree with a lot of it, though I found it had invaluable stuff in it. I evidently found DR. V abut the same time Han did. Dr. V had the right intentions and he did something possibly before anyone else – looking at indigenous histories – what anthropologists usually consider myths. I am one who pretty much despises the attitude of scientists to belittle older cultures, especially non-white and no-Judeo-Christian. I have VERY high regard for older cultures, with people who had almost no infrastructure to lean on. Arkies I loathe; anything they can’t put into a specific niche they categorize as “ritualistic,” as if that explains anything. I saw a one-hour thing on the Cahokia Mounds, in which they included all of ONE artifact – the rest of the show was all projection and extrapolation. Of course, reading ancient histories is an iffy proposition, so I don’t blame anyone for avoiding such issues – but if they do, IMHO, they abdicate any right to comment. On the Velikovsky Affair, the astronomers, especially Shapely, were dead wrong. They could have handled it in a professional manner. They chose instead to be vipers. Dr. V was not correct in his conclusions, but some of what he brought in should have been taken and melded into science, with adaptations and corrections. I suppose that is being done now, in small part, 60 years later. Little of what Dr. V concluded will last through it all. But then much of almost ALL scientists’ work ends up on the scrap heap, too, so he will not prove to be any worse or better than most. FYI: I was intending to study either theoretical physics or cosmology, then dropped out for a while, joined the Army, and never got back into school. But my interest in it all actually grew over the years. So I am a never-was scientist who discovered the lunatic fringe and felt at home there. Most of them are sloppy thinkers. I am to some extent, but try my best to keep that under control. P.S. If you could explain how the HTML tags below work, I’d appreciate it. They appear from what’s shown to work differently than ones I’ve used before, and there is no [Preview], so I can’t try them out. I ALWAYS have trouble with href syntax. I also like to use italics, bold and blockquote. I’m afraid I’ve never been able to get into Velikovsky. There has always been something about the orbital mechanics of the so called “Polar Configuration” that escapes me. It’s not that I don’t think that kind of celestial dance is possible. I just don’t think it’s possible to do it to a planet without sterilizing it. Consider this: If we make two 1 meter diameter scale models of the Earth; one, a hand painted globe. And the other is a perfect scale model down to the tiniest detail. And we compare them we can learn a thing or two. On our perfect model, the difference between the deepest ocean trench, and the highest mountain peek is barely a fraction of the relief we see in the paint grooves in our hand painted model. Our perfect scale model doesn’t deviate from a perfect sphere by enough to measure except with the most delicate instruments. On our perfect model, the combined thickness of the atmosphere, and the lithosphere together, is less than the thickness of the paint on our hand painted model. The deepest oceans are a thin film of moisture that barely makes your finger wet. And the whole thing is so fragile that, if you were to try to touch it, even gently, your finger would just go right on in to the molten interior. Intuitively, at least, it just seems that we live on a world that is far too delicate, and fragile, on the grand scale to do the celestial dance V envisioned, and survive. I do agree though, that electro-magnetic forces have been ignored as major driving forces in both Cosmology and the Earth Sciences, to the detriment of both for far too long. As a matter of fact, I’m sure our views regarding the role of electric plasma phenomena in the universe intersect more than you realize. My own sources for figuring out the catastrophe of the YD impacts were the rocks that were the direct blast effected materials of the event. And a willingness, whenever standard unquestioned uniformitarian theory disagreed with what I was reading in the rocks, to believe the rocks had the truth of it all. V’s most important contribution wasn’t that he found the truth. After all, he didn’t. Little of his actual work may survive the test of time. It was in the nature of the questions raised in trying to figure just what the heck he was talking about. And where our attention was directed by them that V’s priceless contribution lies. Not in the correctness of his thinking. Answering those questions may have discredited Velikovski’s work. But it also brought to light the fact that the old school uniformitarians since Sir Charles Lyell, in the 19th century didn’t have a clue either. On the question of the HTML tags in the comment blocks, I don’t know how to use them either. But this is the price I pay for a free blog with no adds; no bells and whistles either. But feel free to send comments via private email. Dennis, a few comments on comments. “the publisher should be shot” – an expression I also use once in a while (yes, also metaphorically) might be a dangerous one. I have lived twice when and where such things actually happened – in German-occupied Holland, 1940-45, and during the ’60’s and ’70’s in Brazil during the military dictatorship. People were killed then by bullets, a piece of rope, in a gaz chamber, or by being pushed out of a plane flying over the ocean. I could’t get out of Brazil then because during 12ys I had no passport, having refused to fight in a colonial war on behalf of the Dutch government, in the middle of the decolonization period. I discovered the books of Velikovsky early in the 1970’s, finding him very erudite but not convincing, though I knew then already that there was (and is) something very wrong with academic “science”. For one, V. tried to shorten history by eliminating dark centuries; I tend to lengthen it. And to me it is obvious that after a catastrophe, humankind needs some time to get organized again. A serious mistake V. made was not to ask a geologist to edit Earth in Upheaval, avoiding such silly errors as confounding the Permian and Pleistocene Ice Ages, and not providing petrographic descriptions when they are called for. in praise of these academics, They made explicit the opposition of catastrophism and uniformitarianism (since the British polymath William Whewell, 1832), whereas all the other uniformitarians – archaeologists, historians, prehistorians, mythologists, biologists etc.etc. were and are keeping up silently the fiction that they are doing “science”. I also add to the list philosophers and historians of science, who imagine that they were born on a uniformitarian kind of planet. So, when at Utrecht U. during the 1950’s, I was made aware of the ideological opposition, even if the teachers emphatically added that the uniformitarians had won the battle, once and for all. The books of V. shouldn’t be read without reading British physicist Peter Warlow’s The Reversing Earth, providing a physical mecanism for geomagnetic reversals and global floods.